I never knew Great Uncle. 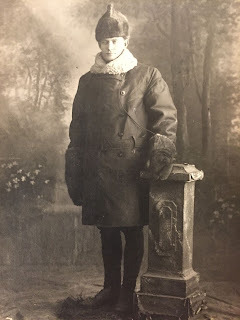 his thrift, and his service in far away Russia in the Great War. Then I'll not hesitate to leave. Wow! This one is haunting. "Terrible mistake" hurts my heart. The poor mother. What Amy said! WOW -- the details!! Wow. I love this thinking back and thanking back.